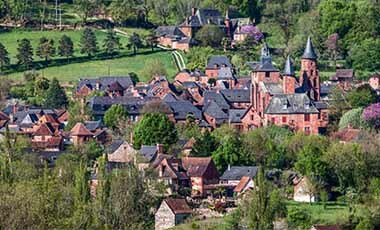 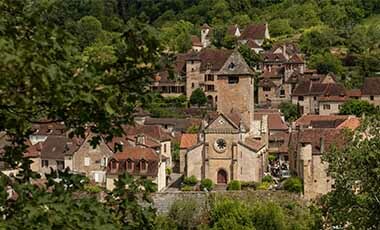 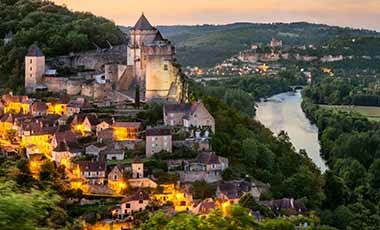 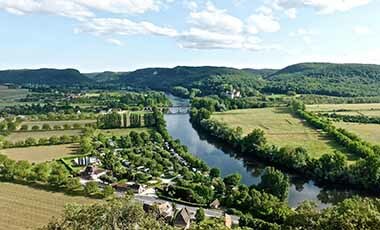 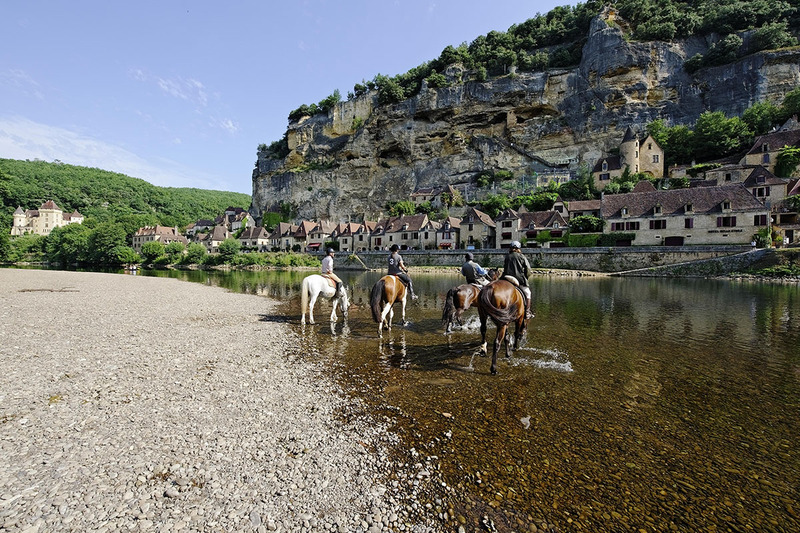 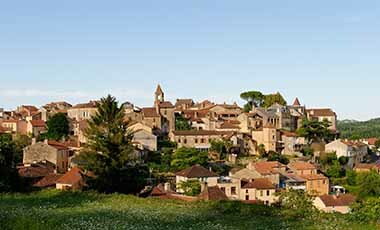 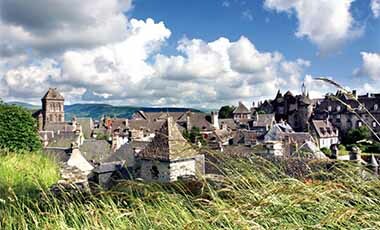 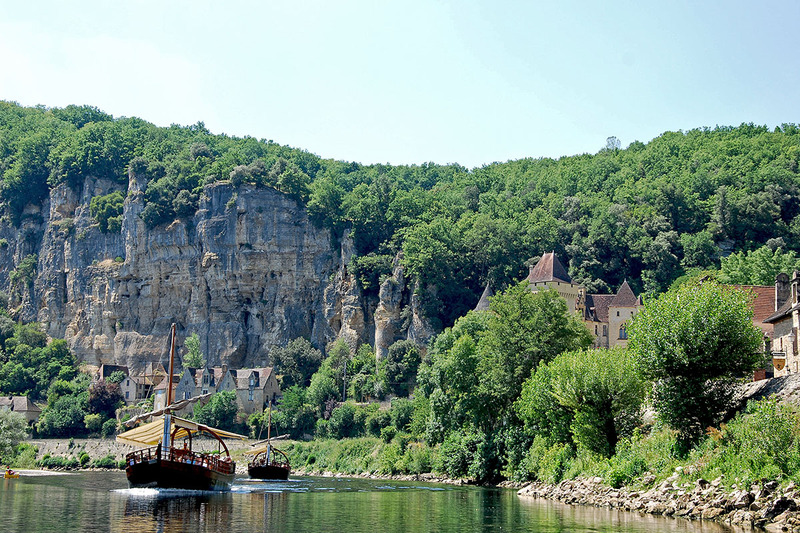 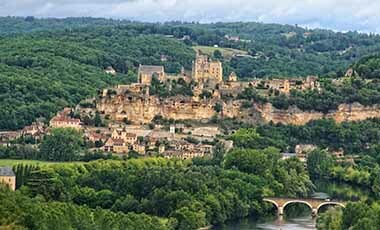 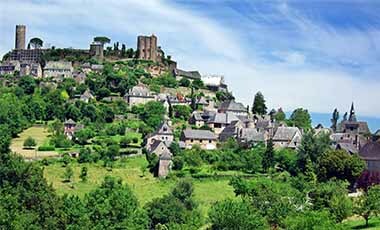 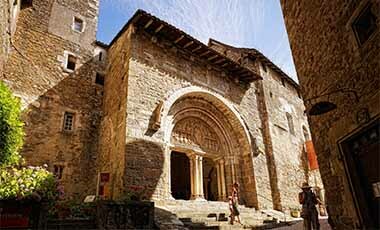 With its narrow streets and old houses built against a stunning cliff face, the designation of la Roque-Gageac as one of the ‘Most beautiful villages in France’ is well deserved. 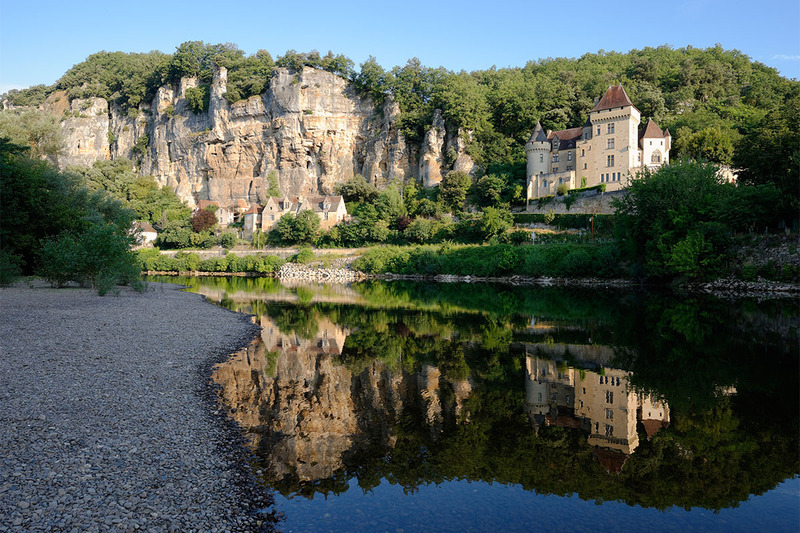 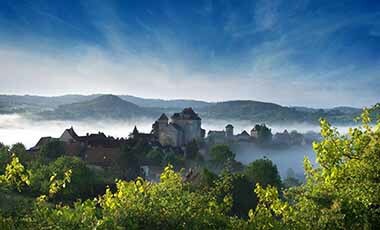 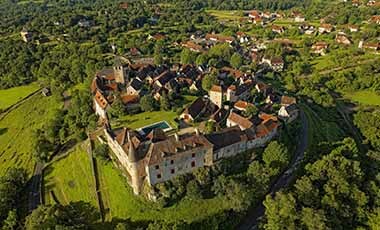 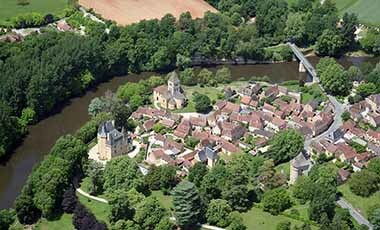 La Roque-Gageac is a long, narrow fortified village with beautiful, historic cream stone houses nestled between the Dordogne River and a high south facing cliff. 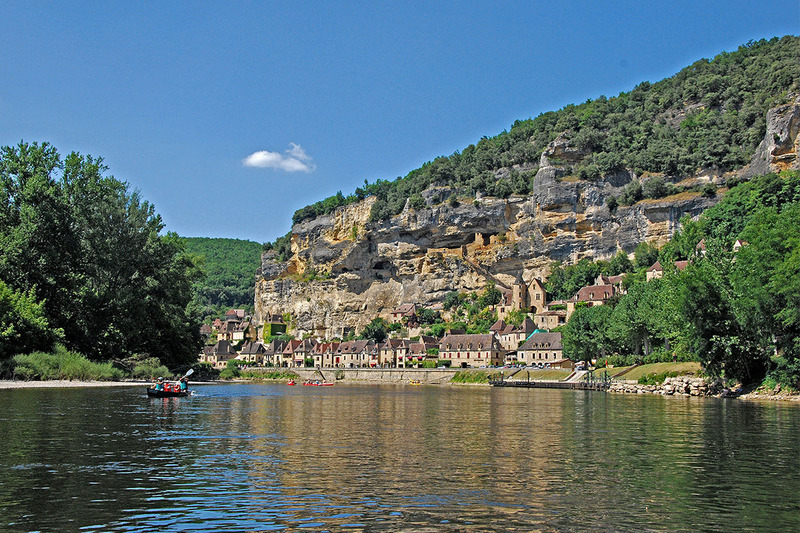 The buildings are mirrored in the waters of the river where you can have a ride in a replica of the traditional flat-bottomed boats, called “gabares”, which used to trade here. 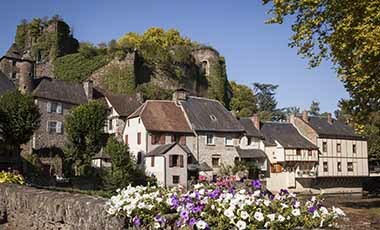 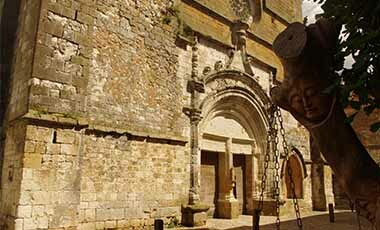 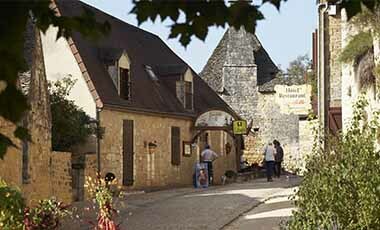 The village is an ancient possession of the bishops of Sarlat and from earlier times there are the remnants of a troglodytic fort high up in the cliff. 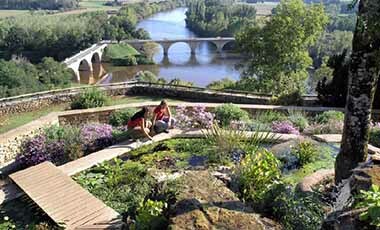 It benefits from an extraordinary micro-climate which has allowed the development of a luxuriant tropical garden along its charming stone alleyways.